The Muslim Judicial Council (SA) joins the Jamiatul Ulema and other interfaith leaders in pledging its wholehearted support toward the National Day of Prayer. This historic event, scheduled for Sunday, 26 November, is hosted by the Motsepe Foundation in association with more than 40 faith-based organisations, prominent traditional leaders and Kings. The purpose of the event is to unite all South Africans – irrespective of religion, race, cultures or class – to pray for the poor, unemployed and marginalised, and for God’s guidance and blessings for a bright future for all its citizens. Our country is faced with numerous challenges, politically, economically and socially. Even our family’s safety and security are threatened. 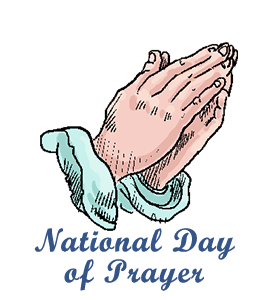 The Muslim community is called upon to support this National Prayer Day as part of our civic responsibility. The Darul Islam Mosque in Surrey Estate will host members of the Motsepe Foundation and other faith leaders at their Jumuah (Friday prayers) on 24th November as a lead up to the National event on Sunday. The National Day of Prayer commences at 08h00 on Sunday, 26 November at the FNB Stadium, Johannesburg.